The main home is 1414 square feet, with 3 bedrooms, 1 bathroom, a good sized laundry/ utility room and a spacious dining room, and living room. All new interior paint in June 2016. Home was fully renovated in 1992 with a new heating system, insulation, plumbing, electrical, roof and siding. Detached single car garage with an additional 1 bed, 1 bath dwelling unit above. Great sized lot, fully fenced for all your outdoor needs. 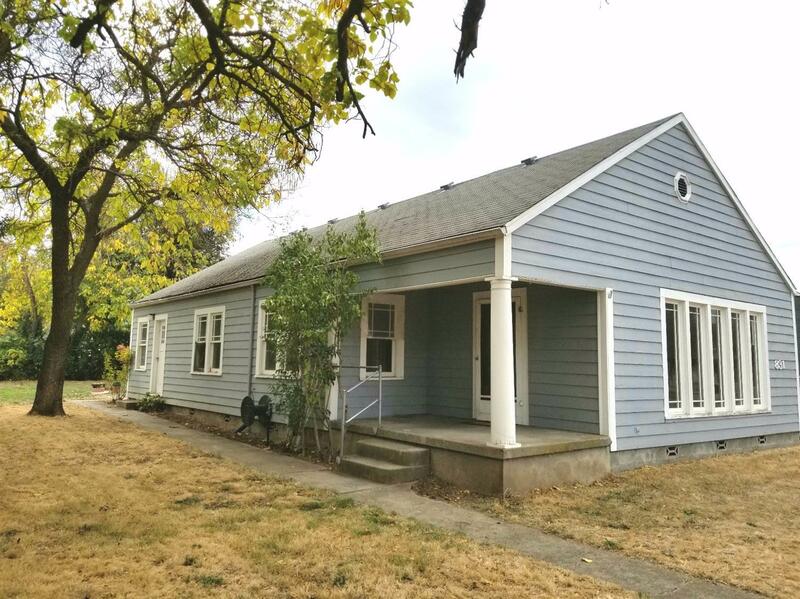 This could be an excellent home with optional income potential, or guest living quarters, or rented as a duplex. Directions: Columbus St to 10th St, to Hamilton to W 12th.